Kanyinthonesint is a typical rice farming village, located on the main road from Pathein to Yangon about 35 miles away from Pathein in Kyaungkone Township, Irrawaddy Division. Most of the people living here are ethnic Karen and Buddhists. About half of the total households are small scale farmers who rely on subsistence farming of monsoon paddy, beans and ground-nuts. About 20% of the population own some small parcels of land and grow cassava, banana, sugarcane, flowers, betel-nuts, etc. They supplement their household incomes as farm workers. Most of the households keep some livestock (chicken, duck, and pigs) for own consumption. Kanyinthonesint village has a primary school only and no nursery school. Many children only receive a basic primary school education as families cannot afford to send their children to attend a middle or high school in the next towns of Kyaungkone (about 10 miles), Hinthada (30 miles) or Pathein (35 miles). Burmese education, at both lower and higher levels, has suffered badly from decades of political unrest, with academics and students seen as threats to the regime. The education system has been destroyed by half a century of military rule. The cycle of poverty is such that the parents are focused on their own livelihood and not necessarily on the education or the future livelihood of their children. Sadly, in this environment many parents do not even understand the value of education and the influence it will have on the future well-being of their children. It is to this extent that the diocese wanted to set up a nursery school for the 3 to 6-year-old village children. 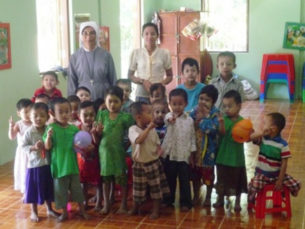 The Sisters of Charity, who have a convent at the parish center, were to operate the nursery school for the children and to offer social services to the villagers. The nursery in Kanyinthonesint is open for both Catholic and non-Catholic children of the community with a range of programs designed to prepare children for entering further education at State schools. The activities at the nursery school include: games and puzzles, basic writing, spelling, reading and calculations, as well as personal hygiene instruction and training of other life skills. 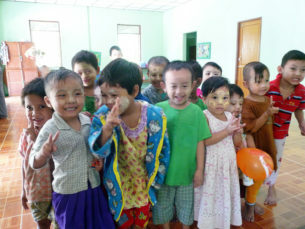 Annually, the nursery school benefits about 50 children of the surrounding 5 villages. After completing the nursery school, the children are better prepared for state primary school education and the parents can see the benefits of education for their children. The Sisters of Charity operate the nursery school with volunteer teachers and ensure an efficient and successful outcome with regards to the education of the children. They make certain that the young children experience a positive life in a social environment outside of their families, while also learning, how to get along with others. These lessons and the nursery school attendance instill self-confidence and responsibility and foster happiness for their future success. Of course, the children are the main beneficiaries of the nursery school but indirectly the parents and the other members of the community also benefit. 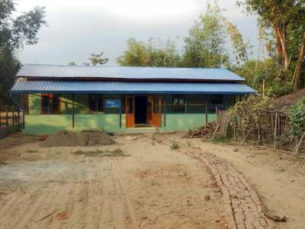 With the help of international donors, PIN completed the building of the Nursery School. 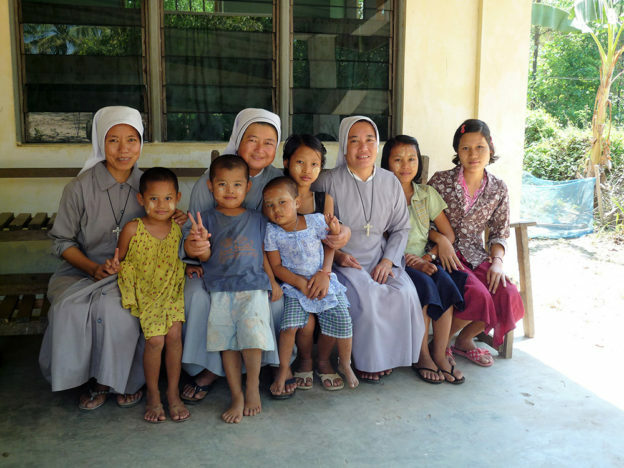 In July 2014 the Sisters of Charity received the first children of poor paddy farmers and day laborers. The Sisters of Charity and the villagers are responsible for the running cost of the nursery school.